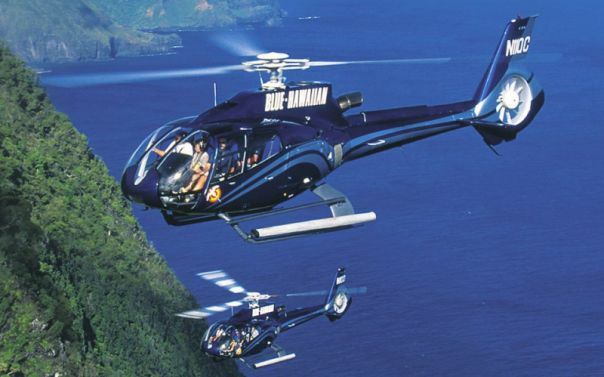 National Geographic say’s “Blue Hawaiian Helicopter is Hawaii’s Premier Helicopter Tour Company”! 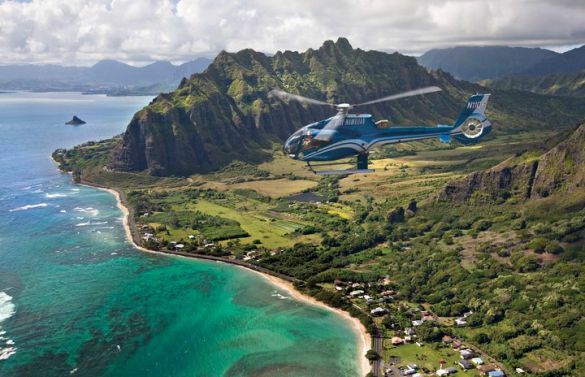 See the beautiful island of Oahu in a whole new way! 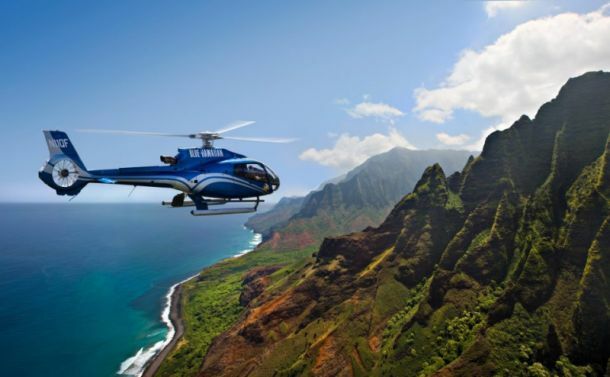 Experience a tour of Oahu by helicopter! You will be in awe of Waikiki Beach, Diamond Head Crater, Pearl Harbor, the Koolau Mountains and the North Shore of this fantastic Island. Only the “creme de la creme” of international hospitality earns the coveted International Star Diamond Award for Outstanding Quality and Service. 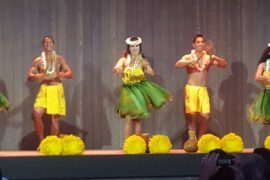 And every year since 1995 Blue Hawaiian has been the world’s only activity company, of any kind, among them. 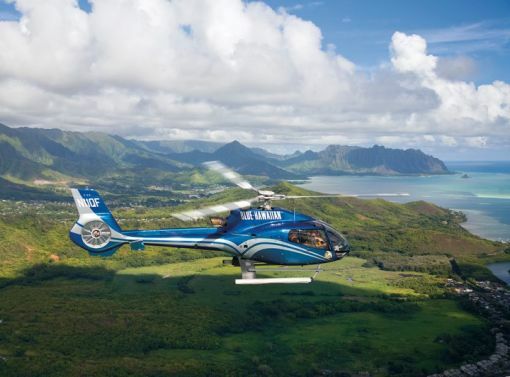 There is just no better way to see the island of Oahu. 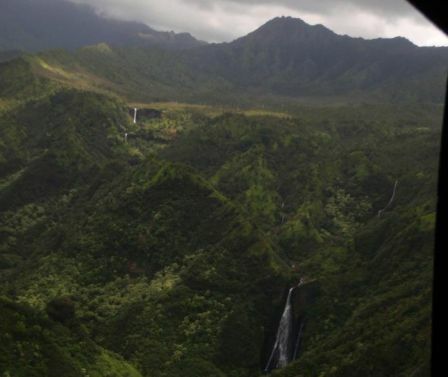 All the different terrain you will view on this magnificent helicopter flight. 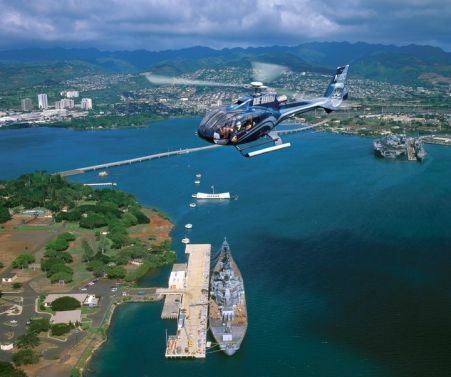 In the Honolulu area, there’s legendary Waikiki Beach, Diamond Head, and Pearl Harbor. Yet just a few minutes away by air is a tropical paradise most visitors miss, with gorgeous shorelines, deep valleys and cascading waterfalls, pristine sights like Hanauma Bay, Mount Olomana, and the soaring Nuuanu Pali, which will take your breath away with its spectacular undulating ridgelines, and lush green Nuuanu Valley rainforest. How can you truly appreciate all of Oahu’s incredible diversity? 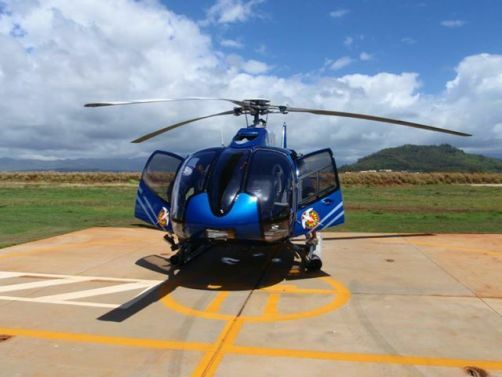 Book a Helicopter Flight with Blue Hawaii today. It will be memorable! Tours are every day on the hour between 9am and 4 pm. Maximum weigh is 250 lbs. Weights more that 250 lbs can be accommodated with an additional seat/fee! NO Refunds or Changes within 72 hours of activity unless otherwise stated. A 10% cancellation fee will be applied to all cancellations made outside of 72 hours of the activity.